It is not news that petroleum that was discovered in Nigeria decades ago with the expectation of improving the lots of the people has succeeded in making majority of Nigerians go cap in hand begging for their share of the oil resources. It is not news that the non-oil resources we used to develop oil exploration now contribute less than 10% of the nation`s foreign earnings. It is not news that oil has put the nation`s resources in few hands and equally unable to generate widespread employment for the employable hands in the country. It is surely not news that government came to realization that only the development of our non-oil export products that can alleviate poverty and bring development closest to the people. What probably was news was the Obasanjo administration serious approach to promoting non-oil export as a survival strategy for the nation. The former president then constituted a committee on Export Oriented Companies, which involve export businesses and relevant Government Ministries and Agencies to finding ways and means of increasing Nigerians export earnings. What this government policy means to serious Nigerians who are ready to take their destiny into their hand is a window of opportunities to better their lots. To this category of people, they need to make plans NOW and prepare the way on how to make good fortune in the expected non-oil export boom. It is not enough to remain in one place blaming and waiting for government for everything; instead you need to plan your life within the available resources. Checking out to other countries cannot bring you the comfort you desire in life. Think of becoming your own boss and tap on the opportunities provided by this non-oil export crusade. While you are busy waiting for your share of the oil resources a lot of Nigerians are smiling their way to their banks with proceeds from exports of various products such as cocoa, cashew, fried snail, gari, gallstones, ginger, dried vegetable, cassava chips/leaves/roots, bones, sesame seeds, pepper, honey, chorcoal, spices, various manufactured or processed products and intermediate goods etc. The beauty of non-oil export is that you reap from your efforts because your earning come to you and not to the central (Federal) purse. You therefore need not wait for any sharing formula to dispose of your profit. The Federal Government, in its bid to change the mono-culture picture of Nigeria export earnings and possibly firm up the value of the Naira, has projected that by the end of 2007, export earning from the non-oil sector would hit the USD 5 Billion mark. The above is coming quickly at a time when the volatility of the upstream oil sector is under very close observation in the light of the youth receptiveness and rebellion by Niger Delta resource control agitators. The question being asked is how would the economy fair if crude oil export is seriously threatened. What options are there for exporters of non-oil products? In the light of the present volume of non-oil export and anticipated incentives, exporters of various products other than oil have a bright chance of increasing their takings. With Government target of netting USD 5 Billion from non-oil export by the year 2007, there is wide chance for discerning exporters to explore. Government realizes the accrued benefits from non-oil exports which have since 1974 been relegated in favour of Petro-Naira. It must be recalled that the export of non-oil products; Cocoa, Groundnut, Palm Kernel/Oil, Rubber etc., funded the various marketing boards, which were effectively utilized by the first republic Regional Government in their development programmes. The ongoing unrest in the Niger Delta makes Nigeria&#8217;s continued reliance on oil export very precarious. The volatility of the oil market does not also make 100% reliance on Petro-Dollar a wise decision, so government has no option than to encourage the increase in export of non-oil products including various agricultural products earlier enumerated to shore up foreign exchange earning and stabilize the Naira. A nation, wise at trade, ensures the export of products in which it is much endowed. Nigeria is extensively endowed with various products, which are goldmines for discerning individuals. Take up the opportunities and earn decent income. One of the Personal Entrepreneurial Characteristic (PEC) that makes a big difference between a successful entrepreneur and unsuccessful one is opportunity seeking. That is seeking, recognizing and acting on new business opportunities. This is the use of contacts or networking to obtain useful information. It is in view of the above fact that we at THE THY CONSULTING are introducing this wonderful opportunity to you. This is golden opportunity that will enable readers to create for themselves, the target and lofty goals for huge success. In order to assist a lot of Nigerians to tap into this highly lucrative venture of non-oil export business, our organization, THE THY CONSULTING, has written a manual titled &#8220;HOW TO MAKE IT IN NON-OIL EXPORT IN NIGERIA&#8221;, to enable them know all the techniques and secrets involved in non-oil export business. 19. How To Get Loan For Your Agricultural Enterprises and many more. Only very few Nigerians for now have penetrated the lucrative market of non-oil export and reaping cool big profit without stress. The KNOW-HOW of Non-Oil Export secrets had been covered up and seriously guided for sometime but now, we the present Nigerian revolutionary wealth builders have decided to uncover the secrets and release them without reservation to fellow aspiring Nigerians who so desire and keen in operating the wealth building secrets. 2. To share what we know, practice and have worked successfully for us; so as to be blessed with more from the Almighty. 3. 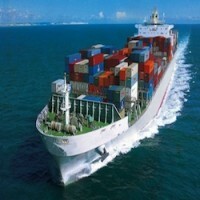 To expose the idea of Non-Oil Export as great income opportunity. 4. To eliminate idleness and hopelessness in our country. 5. To show people how to prosper through Non-Oil Export despite the economy. 8. To reduce financial crisis and crime in our society. In this mission i.e. empowering you to build your desired wealth with peace of mind, many are sincerely called, but believe me or not, only few are chosen. Why only few? That is the power of destiny working. The mystery is only known to our creator &#8211; Almighty God. Our organization has spent huge money, time and effort to acquire valuable information through attending seminars, conferences, surfing the Internet and researches on &#8220;HOW TO MAKE IT IN NON-OIL EXPORT IN NIGERIA&#8221;. All necessary, comprehensive and step by step guide on how to embark on the business and make huge financial success from it as we are currently enjoying, are contained in the well researched manual on &#8220;HOW TO MAKE IT IN NON-OIL EXPORT IN NIGERIA. The price is N7,500 (Seven Thousand Five Hundred Naira only) cost of postage by Registered mail by NIPOST inclusive. The price is a bargain for the valuable information and facts that would aid your success in the &#8220;SILENT GOLDMINE&#8221; Business. Conclusively, I would advise you to give it a bold trial and you are sure of being on your way to a sound financial independence and freedom you so much desire; if you judiciously apply the principles highlighted in the manual and with good luck and Almighty God&#8217;s blessing and guidance success is guaranteed. 3. Or , visit any branch of ECO BANK NIGERIA PLC and pay the sum of N7,500 (Seven Thousand Five Hundred Naira Only) into THE THY GLOBAL INVESTMENT LTD A/C 1800010230588301.
i. Article on How to Export Any Product Out of Nigeria without stress. ii. Guide To US Business Opportunities. Dear entrepreneur friend, it is my sincere hope that you would not let this golden opportunity pass you by. Poverty won&#8217;t be your portion by the grace of Almighty God. (Amen). CLICK HERE TO DISCOVER HOW TO EARN MILLIONS OF NAIRA BREEDING SNAILS IN NIGERIA. CLICK HERE TO DISCOVER THE TOP SECRETS ON CASSAVA EXPORT AND LOCAL UTILIZATION. CLICK HERE TO DISCOVER HOW GET RICH IN DOLLARS EXPORTING GALLSTONES. CLICK HERE TO DISCOVER 15 MONEY MAKING BUSINESSES YOU CAN START ANYWHERE IN NIGERIA WITH LESSTHAN N20,000. THE THE CONSULTING, 4,ISMAIL ABDULAZEEZ STREET, SINGER BUS STOP,EWUPE,SANGO OTA,OGUN STATE. TEL: 08023050835,07033632285. Copyright ©2013[The Thy Consulting ].All rights reserved.